As Assistant Chief Economist, Paul is responsible for the analysis and forecasting of macroeconomic and financial market developments in Canada, the United States and key overseas economies and is a regular contributor to a number of RBC publications. 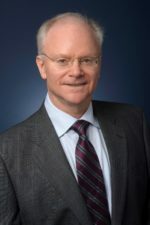 A graduate of Queen’s University and the University of Manitoba, Paul joined the Economics Department of RBC in 2007 after working for twenty years at another major financial institution where he was responsible for generating the macroeconomic outlook for the United States, Canada and Canadian regional economies. Paul started his professional career as an economist in the Research Department at the Bank of Canada. Paul is a member of the Economic Policy Committee of the Canadian Chamber of Commerce and former member on the Editorial Board of Canadian Public Policy/Analyse de politiques. Paul is also Past President and Director of the Toronto Association of Business and Economics (TABE).